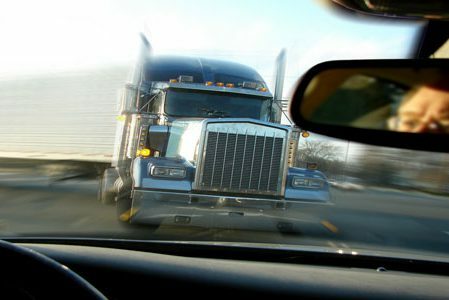 Lear Werts LLP represented a gentleman who sustained a closed-head injury when the car he was driving was totaled as part of a multi-car crash caused by a driver who had “zoned-out” while driving a loaded tractor-trailer from Kansas City to St. Louis. In this case, our client was the driver of one of several cars that were seriously damaged by a chain reaction that started when a truck driver failed to notice that traffic on I-70 had come to a halt as a result of road construction. Tragically, this lapse in attention caused the driver to slam into a block of stopped traffic reducing several cars to a total loss and sending many people to area hospitals. Our client suffered a concussion, but was very fortunate in his recovery. While our client did have some of the symptoms of a traditional closed-head injury, most of those symptoms resolved over time. Our office negotiated a favorable settlement for the client once his medical treatment concluded. Interstate 70 is one of the longest interstate highways in the country, running from Utah to Maryland. In Missouri, I-70 runs from St. Louis to Kansas City and passes through several cities including St. Charles, Warrenton, Columbia, and Independence. According to the Missouri Department of Transportation, 10,000 commercial trucks drive on I-70 every day. According to MoDOT statistics, there were 18,455 traffic crashes on Missouri’s interstate highways in 2009 resulting in 86 fatalities and 5,989 injuries. Unfortunately, given pressures from trucking companies to maximize revenues, some commercial trucks are driven by drivers who have not had required rest or are driving trucks that are not sufficiently safe. The accident and injury lawyers at Lear Werts can help you to understand your rights and maximize you and your family’s recovery for injuries caused by a commercial motor vehicle crash. Call our office, toll-free, at 573-875-1991 for a free consultation to speak with a lawyer about your situation to see if we can help.